Are you ready to revolutionize your garden this year with these tips and tricks from one of the most recognized gardeners in Edmonton? 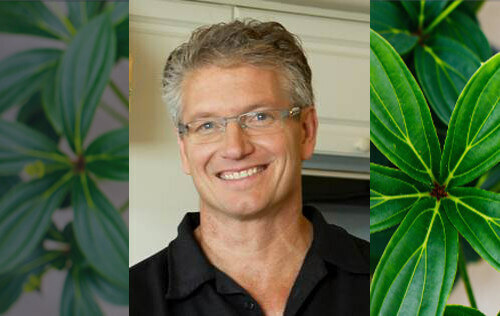 Join horticulturist Jim Hole on the 2019 Spring Edmonton Woman’s Show Main Stage, for ‘Fusion Gardening: Where Beauty, Nutrition, and the Environment Meet’! Presentation times: 3:00pm, April 13th and 11:30am, April 14th. Jim Hole lives in Edmonton Alberta and works nearby at his family’s greenhouse and garden centre in Saint Albert, where divides his time between writing about what he does and doing what he writes about. He is ardent about plants, the environment and business. His humor and engaging spirit are legendary, making him a highly sought-after speaker nation-wide! In addition to writing bestselling books, newspaper columns for the Edmonton Journal and Saskatoon Star-Phoenix, Jim can be heard on CBC radio and seen on various TV stations. He is also the son of the former Lieutenant Governor of Alberta, Lois Hole and co-owner of Hole’s Greenhouses Ltd., located in the Enjoy Centre.